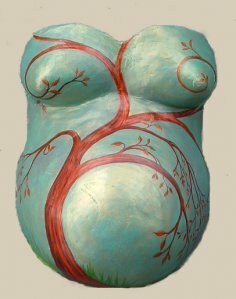 As a doula I provide prenatal and labor support and advocacy, Herbs, loose teas and essential oils for pregnancy and labor, belly casting or birth art, discounted rates for private yoga and a postpartum visit. Birth education classes in the comfort of your own home with books included. Classes can be broken into 3 weeks or 1 day intensive. Prenatal yoga session in your home as well as private couples prenatal yoga. Belly casts capture this beautiful moment in time helping you honor your pregnancy, your body and journey into motherhood and celebrate the bond between you and your baby. Birth Art can reveal your overlooked strengths and resources as well as facing fears or obstacles that may appear and keep you from tapping into all of yours resources.